The rumours surrounding a bigger screen on the next generation of iPhone have taken another step towards reality as a source confirms a 4-inch display. We heard yesterday that a Wall Street Journal source claimed that the iPhone 5 would sport a display at least 4-inches in size. News bods Reuters has now waded into the debate, with word from its own sources confirming that the sixth generation iPhone will have a bigger screen, reporting that the display "will measure 4 inches from corner to corner". The source goes on to reveal that production of the new, larger screens has already begun at three suppliers based in Korea and Japan. 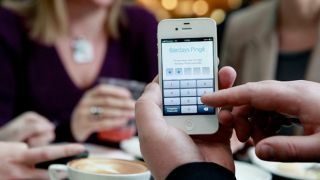 Production of the iPhone 5 is predicted to start in August, with the three screen manufacturers possibly receiving orders from Apple in June. The talk about production in August sets the iPhone 5 up for a launch somewhere around October, as Apple looks to stick with its annual product cycle, after we saw the iPhone 4S arrive in the same month last year. Find out all the latest on Apple's next handset in our iPhone 5 realease date, news and rumours article, or check out our video below.